We thought it was about time for some creepy Sci-Fi news, and what better way to bring it to you than with this latest revelation discovered by all the people in possession of Amazon’s groundbreaking Artificial Intelligence device named Alexa, otherwise known as the Amazon Echo. Apart from making consumers lives so much more enriched with the advancements in AI, Amazon’s Alexa can do it all at the drop of a spoken command, “YES!”. You can get Alexa to do just about anything for you, for example, “Hey Alexa, what’s the weather going to be like today?” or “Hey Alexa, call Pizza Hut” or better yet, “Hey Alexa, who wrote the novel 1984?” and she’ll damn well tell you, just like it is! 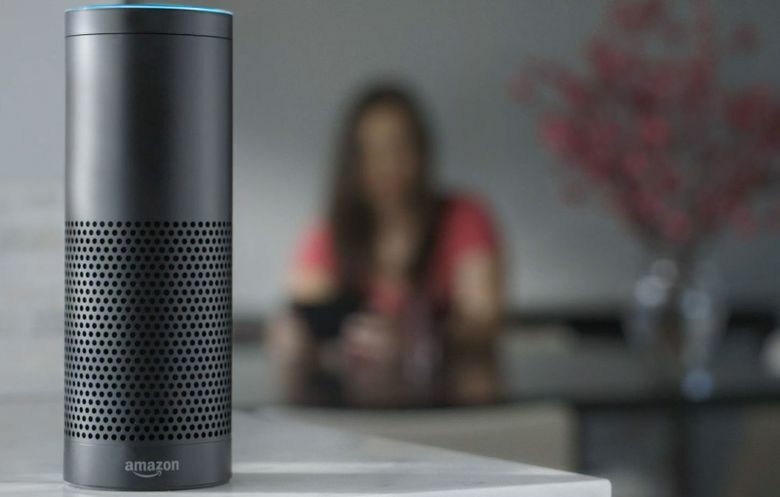 Countless people have positioned their personal Alexa’s in the forefront of their living rooms, bedrooms or kitchens, because let’s face it, who really wants to do things when Alexa can do them for you? However, the 2nd Generation of Amazon Echo’s have divulged some strange behaviour lately, some say even taking on a life of her own. This has been the case so much so, that this story is blowing up all over the Internet as we speak… Why? Well, Alexa just cannot help to sporadically laugh out loud for no reason at all. Hell! We’re all guilty of chuckling every now and again, so why is the sudden shock of Alexa’s laughter causing such widespread pandemonium and ultimate customer concern? Amazon has since stated that they’re unable to fix the glitch of Alexa’s laughter, and they still don’t have any answers as to the cause of it. Yikes! Apparently, people have been royally freaked out by this inexplicable phenomenon that’s very much sweeping the world right now! Let’s take a look at some tweets from people who have experienced Alexa’s random laughter first hand, shall we? As you can see, there’s a whole bunch of reaction going on in the Twittersphere over Alexa’s laughter or evil chuckle. There’s only one thing left to do, now we really have to hear it for ourselves. But, what’s even more mysterious is that Amazon themselves are slightly dumbfounded as to why Alexa is even laughing in the first place, and have so far been unable to fix it. Could it be true? What Elon Musk has been saying all along, that Artificial Intelligence is the greatest threat to mankind and also to our human existence? Pretty freaky, indeed! We’re very surprised, but ultimately, we’re even more surprised that Jimmy Kimmel could finally make us laugh! Maybe Jimmy Kimmel is turning over a new leaf in comedy, at long last! Nice one, Jimmy! Anyway, back to the matter at hand and an Amazon spokesman said in a statement on Wednesday, that the company is currently working on fixing the glitch, and that once again, they are uncertain as to how Alexa started laughing in the first place. 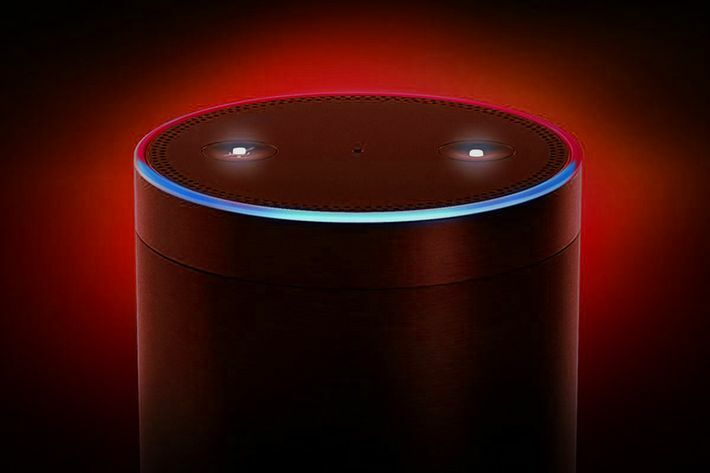 Last month, is when the eerie laughter began, as reports of a delirious laughing Alexa came to the fold, with many customers complaining about Alexa’s random creepy laughter, and thus they started sharing the AI phenomenon from their homes, for all to see. Sort of like an episode out of The X Files, but without Mulder and Scully available for investigation. Since then, Amazon took it upon themselves to decipher the mystery, but have so far come up with no answers, as of yet. Amazon have not been available for further comment whilst trying to fix this glitch, once and for all. So, if random creepy laughter in the middle of the night doesn’t bother you in the slightest, do make sure that you buy yourself an ALEXA (from our friends over at Amazon) on one of the listed links below, to get all your home entertainment and fast solution needs, at the drop of a voice command. P.S. if you’ve experienced this Alexa laughter for yourself, then please tell us about it in our comments section down below. Buy yourself an All New Amazon Echo 2nd Generation Alexa, right here! Buy yourself an Amazon Echo Dot 2nd Generation Alexa, right here! Buy yourself an Amazon Echo Spot Alexa, right here! Plus, as a bonus, here’s some fun questions to ask Alexa!